Political scientists, sociologists, economists have reviewed Tocqueville's descriptions and prophecies--but it was a journalistic brainstorm to take the notes Tocqueville made during the 1831 tour on which Democracy in America was based (published in 1938 as Tocqueville and Beaumont in America), and "recreate Tocqueville's journey": ask the same questions of the same sorts of people; see what American democracy had become. For Reeves, it also starts as a chance to sound off, with a nod to Tocqueville, on perennial themes of his own: big government (which Tocqueville warned against), low-caliber leadership (which he decried). And the book is as much Reeves as Tocqueville throughout. But in the passage from Newport to Montgomery to Detroit to Boston and New York, the big questions that Tocqueville raised--"tyranny of the majority," commercialism, social inequality, racial discrimnation--surface again and again. In Newport, Reeves finds 79 radio stations to choose among, plus six areanewspapers and 250 different magazines. "Did information, the truth, set men free--or were individual thought and action drowning in tidal waves of facts and ideas?" In Rochester, seat of Gannett newspapers, the question takes another turn--giving the public what it wants ("Neuharth is interested in growing, not in education"). But in Rochester, too, social critic Christopher Lasch ("Democracy. . .has failed") and Marxist historian Eugene Genovese ("It's still working") differ. So the pot bubbles. Cincinnati brings a review of judicial power. Potter Stewart, a native son: "The courts have replaced the frontier" as a liberating force; Darlene Kamine, a 27-year-old attorney: "Our system is based on equal access. . .the 'little' man can go one on one with the faceless corporation" (and so feels part of the system). In Detroit come the stiffest views--from talented, successful blacks: "the old rigidity is returning. The golden time is over for people like me. The white reaction to the riots was defensive. Next time it will be offensive." 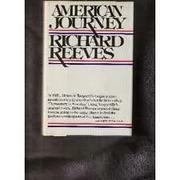 Yet Reeves ends positively: democracy is effective in translating "the will of the people. . .into public policies and systems protecting life, liberty, and the pursuit of happiness." No order, no rigor, no real resolution-but a lively sounding on issues that democracy itself keeps alive.